Inner Priestess - Activates & Aligns the Sacral & Solar Plexus Chakras; Assists with Connecting to the Higher Self, the Divine Feminine & Ancient Wisdom; Empowers Healing & Spiritual Growth; Encourages Clarity of Intent, Forgiveness, Self-Love, Healing, Intuition & Alchemy. 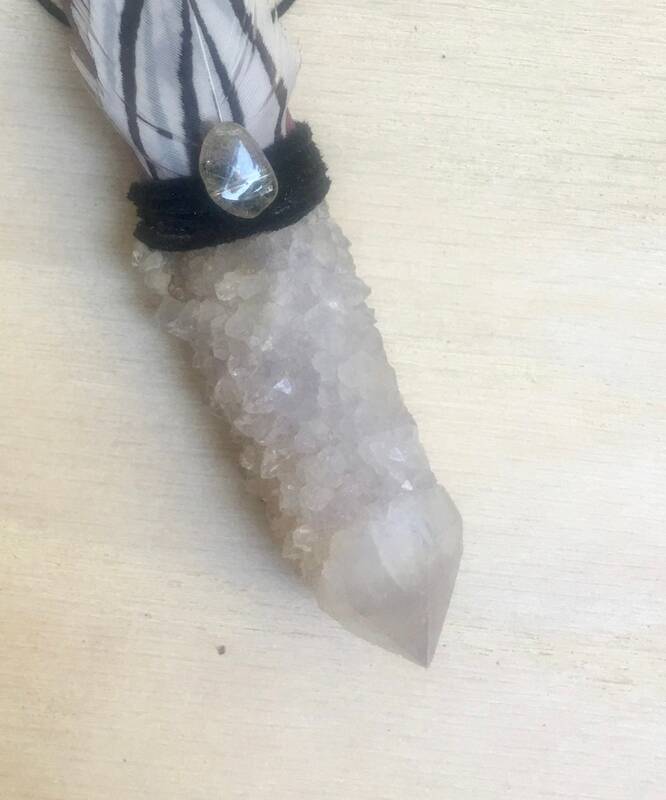 Citrine Spirit Quartz with Isis Face - It activates the Sacral and Solar Plexus chakras, aligning personal will with Divine Will, and allowing for a more focused manifestation of one's chosen goals and those of the Higher Self. 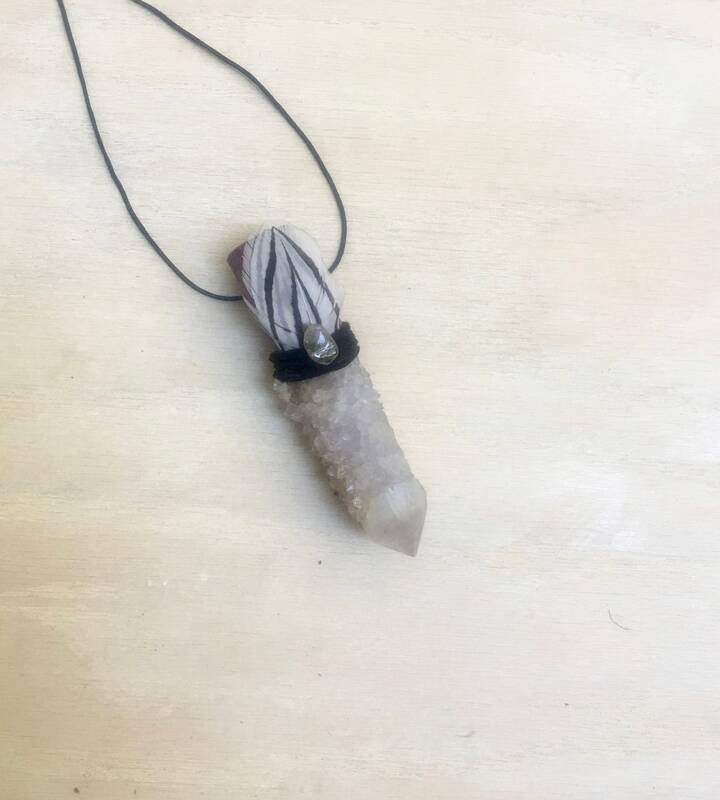 This stone purifies intent, and increases the sense of self-worth and empowerment, giving access to true abundance while releasing attachments to material things. Is a marvelous stone for conflict-resolution and in seeking, or granting, forgiveness. 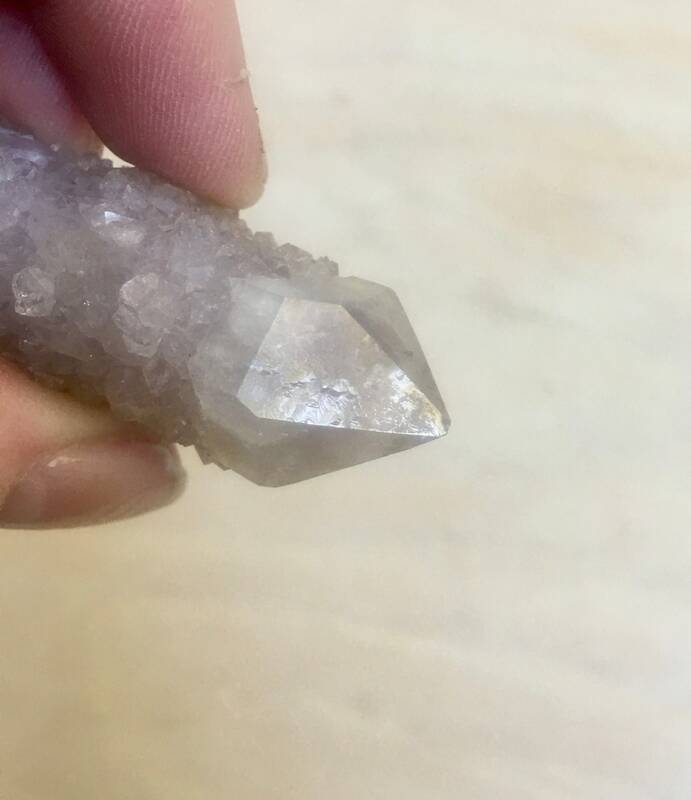 Isis Quartz - The front main face of an Isis or Goddess Quartz has five sides. Isis became a master of self-healing and self nurture, uniting with Love. There are many tales of her healing children. A powerful heart healer and intuitive guide. Can help you to connect with Isis herself or Any Goddess. Such a strong feminine, magical, healing, loving energy. Pure, maternal, enduring, insight, intuition, subtlety, hidden knowledge, master healer, magical, psychic truths. high priestess, alchemy. 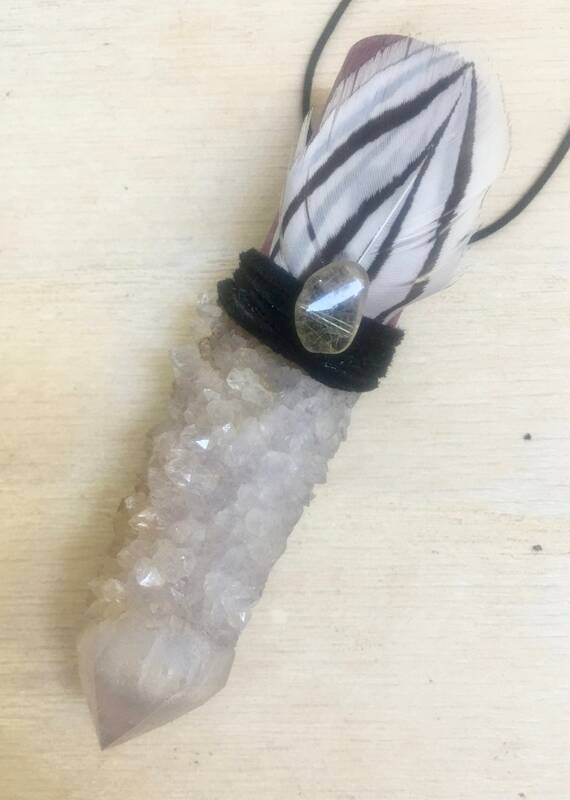 Rutilated Quartz with Cacoxenite – Quartz – powerful energy amplifier, attunes to the perfect energy of the person needing healing; raises energy to higher levels physically and spiritually, master healer. 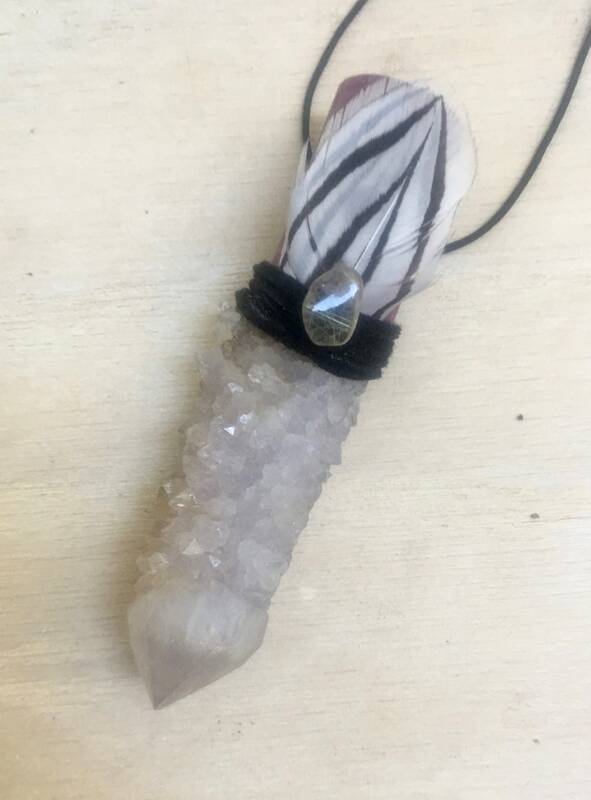 Quartz, injects clear white light into the aura that acts to elevate ones vibration and to purify stagnant energies and blockages. Cacoxenite manifests beautiful inclusions within a Quartz, and forms as radiated tufts or strands of yellow, gold or earthy brown. 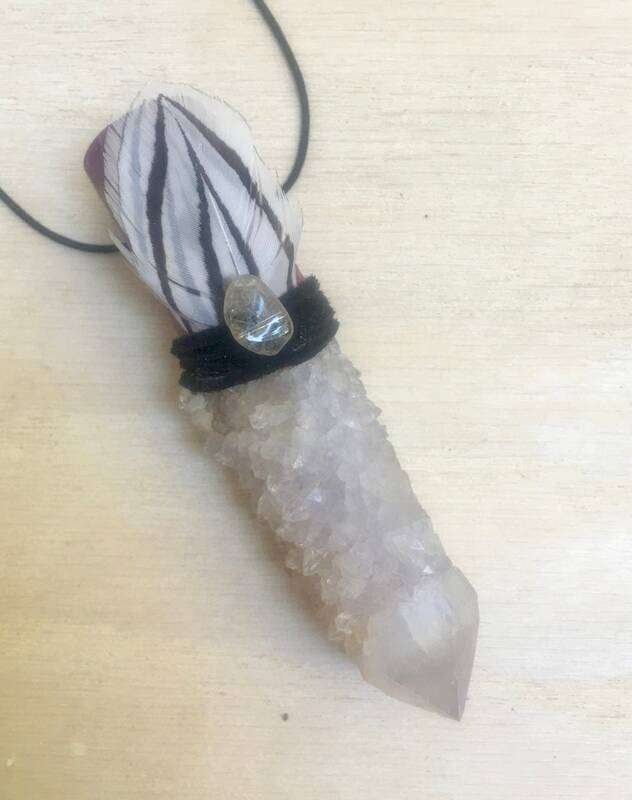 Its presence expands the properties already emanating from the host stone and adds its own remarkable dimension of spiritual evolution and connection. Known as a Stone of Ascension, Cacoxenite is believed to raise the spiritual awareness of the human race and to provide a loving and ethereal connection between all of the universe. Silver Pheasant Medicine - Feather – Carries the symbolism of creativity, individuality and protection when needed. Reminds us to enjoy the beauty in life. Pheasants resiliency reminds us to not give up. 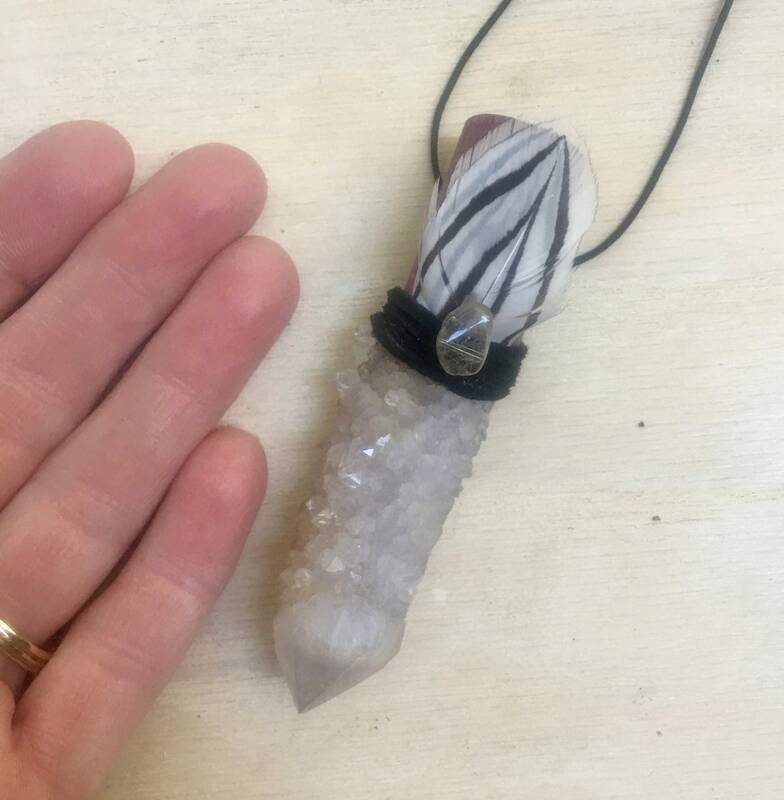 4.5 inches long; Isis Citrine Spirit Quartz 1.75 inches.